Hey guys, been a while! Since my last post, I've had myself quite an interesting summer. 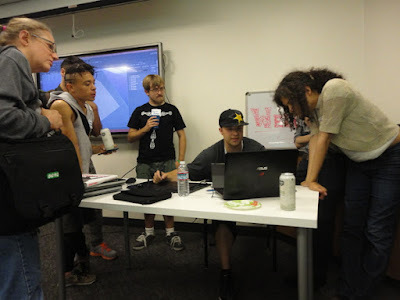 Back in June, I moved out to Seattle for my second season with iD Tech Camp. I spent 9 weeks working at the University of Washington camp as the Tech Coordinator. It was a lot of fun introducing so many young faces to the world of game development. As I expected, the demanding schedule didn't leave a lot of time for much development of my own, but it was a great experience and I'd certainly consider doing it again next year. While I was in Seattle, I also got to see a ton of really cool stuff. I went to a Mariners game, visited a museum that had sci-fi and fantasy movie props, rode a boat to an island, shopped at Pike's Place, explored Gasworks Park, took a lot of buses around downtown, and drank way too much bubble tea. Best of all though, I went to a bunch of game developer meetups. Seattle is crawling with game devs, and I made my way to gatherings of at least 4 completely different associations. Got to see a ton of indie projects and also hear a lot of VR talk straight from the mouths of developers working on both Valve's HTC Vive and the Oculus Rift. Also while I was away, a project that I'm involved with launched a Kickstarter campaign. The game is called Order of the Ancients, and it's being developed by Inkhorn Games, a game company right here in the Cleveland Ohio area. I can't say too much about it because of NDAs and all that, but I've been doing the character modeling and rigging. While we ultimately pulled the plug on the Kickstarter early, the game will definitely be back in the near future looking bigger and better. I'm really excited about it! Now that all of my summer news is out of the way, I can talk about what I've been working on since I got back from Seattle! As a way to get back in the groove of daily gamedev, I started working on a small adventure/RPG in Unity 5. 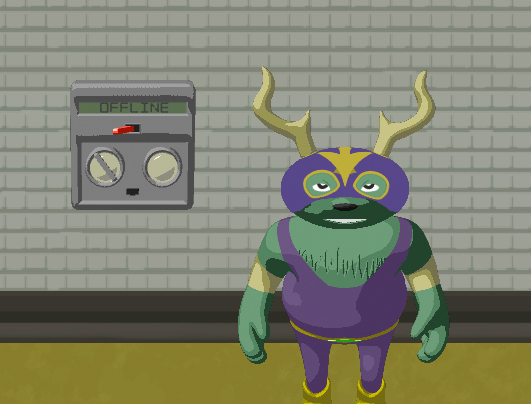 The game is called Lost in Lie Station, and it's about a luchador jackalope named Jackie that gets stranded in a subway station on his way to the Land of the Liars. ...I know... sounds weird, right? It's part of a larger story that I've been developing for years, so I'll give a more detailed rundown of it in the future. The basic gist of the game is that Jackie is scouring the station for boat parts so that his friend can build them a vehicle to get back on their adventure. I'm taking an interesting approach with this game. I really enjoy Unity's 2D functionality, but pixel art takes me a long time and I'm more adept at 3D modeling. So I'm employing a hybrid of both! I modeled and rigged the character in Maya, but for each animation I'm actually rendering out a bunch of images and combining them into a spritesheet. Going old-school Donkey Kong Country style! It should be a fun project, and unlike my last solo Unity endeavor (Quest for Funk), I think it's a lot more manageable. Since it's more about exploration than action, I don't have to worry about any platforming physics, and the art will move along a lot quicker with this particular process. The fact that I managed to get a fully rigged character in-engine with 8-directional walk, run, and idle cycles in just a few days gives me hope! With any luck, I'll have a lot more to share about this game in the next post. So until next time... adios!